The New Zealand National Open and Junior Elite Diving Championships was held at the West Wave Aquatic Centre in Auckland between 5-7 April 2019. A total of 61 divers competed in the competition from four different clubs. The increasing number of competitors at Diving New Zealand (DNZ) events is a testament to the success of the DNZ Skills Testing Programme which has enabled young or novice divers to transfer easily to competition events. The DNZ Skills Testing Programme emphasises the importance of correct technique, strength and flexibility at an early stage, and it was pleasing to see that many divers are carrying these skills through to their competition performances. 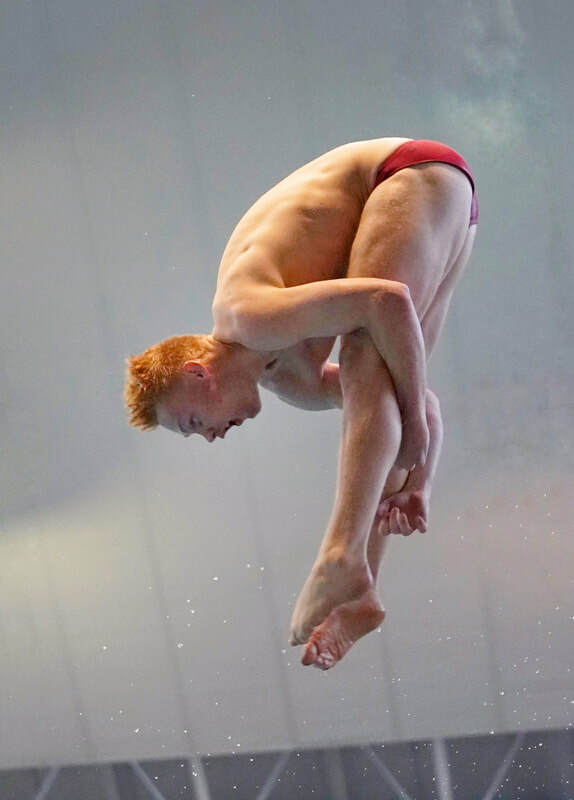 Throughout the competition the divers showed a high level of talent and skill which was expected given that New Zealand has had vastly increased representation at international events in recent years. Five junior New Zealand divers attended the World Junior Championships in Kyiv, Ukraine in 2018, and five senior divers represented New Zealand at the 2018 Commonwealth Games in the Gold Coast Australia (where Lizzie Cui and YuQian Goh secured a fourth place finish in the women's 3m synchronised springboard event). It was great to see divers excelling in individual springboard and/or platform events during the competition, and promising to see some new names emerging in the pack. It was also fantastic to see divers keen to compete in synchronised diving events and try out new dive combinations at a very young age. It is important for New Zealand to contest all diving disciplines, and it seems that divers are thoroughly enjoying the challenges associated with the new mixed synchronised diving events. ​We are thankful for the high performance coaches who are working with our athletes to transfer knowledge into competition performance. Diving is growing rapidly in many clubs around New Zealand and the hard work of our coaches must be acknowledged. It is also pleasing to see a number of new judges officiating at a national level, led by Lisa Wright who was recently appointed to the upcoming FINA World Championships in South Korea. It is also lovely to see a large number of former divers coming back to the sport to contribute as coaches, officials or administrators. Many of these individuals noted that in recent years they have been made to feel more welcome to return to the sport. The skills the divers showed in their competition performances were exciting, but it is also great to see such fabulous camaraderie between the athletes. Diving might very well be an individual sport (with the exception of synchronised diving) but it is still a great deal of fun when you know that you have the support of not only your own club but many other divers at the competition. It is clear from a review of posts from divers on social media that they are happy to display videos of their best competition performances but also equally keen to add photos of the ongoing friendships they have made with fellow competitors. Diving New Zealand feels like it is in a very good place right now, and this is the spirit we want to preserve!